« Congratulations to our RRPT Weight Loss Challenge Contestants and Winners ! CONGRATULATIONS TO OUR NEW CHILDREN'S OBESITY PROGRAM WINNER CHOSEN ON JANUARY 1st. "I can't wait to see my after picture when I am done"
His name is Ludwin Lemus and he is a Marietta resident. We are so excited about his program here with Rapid Results. 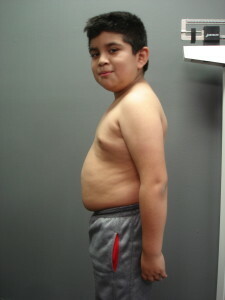 We absolutely LOVE changing the lives of children like him who have a grim outlook to their health with body fat percentages that put them well into obesity at such a young age. 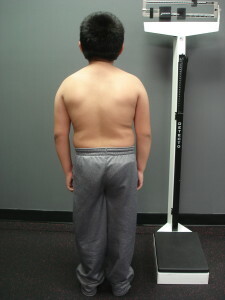 Ludwin weighed in at 105 lbs at only 4' 4 1/2" and at 46% body fat. : ( ! He came to us saying that he wasn't happy, he didn't like to play outside much or sports cause he couldn't keep up with other kids and that he wanted to look and feel better! His biggest dream is to get to be king of the monkey bars. Right now he can't even hold himself up on the bars! : ( He has two very supportive parents who are ready to do ANYTHING it takes to better the quality of their sons life and give him a great healthy future! No problem for RRPT trainers ! We will have Ludwin looking and feeling AMAZING within 3 to 6 months! By the time he is done with us he will run circles around the other kids! Stay posted for all the updates! Our children's obesity program is always in need of funding also so if you are touched in your heart by the work we do please consider a donation either personally or through your company! For more information on donating please see our Children's Obesity Program Give Away Link on the home page of our website or call our Facility at 678-402-8401! Sponsor a child in our Childhood obesity campaign! Dr. Travis Stork's video on "How excess fat affects organs"
Rapid Results Personal Training - Marietta Georgia (East Cobb) uses Graphene theme by Syahir Hakim.